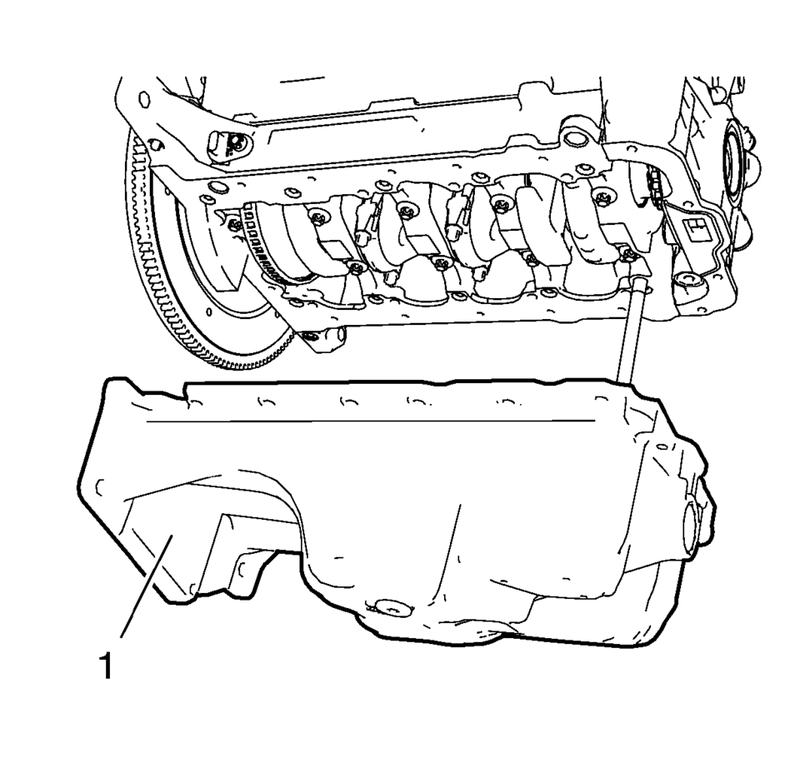 Remove the 16 oil pan bolts (1). 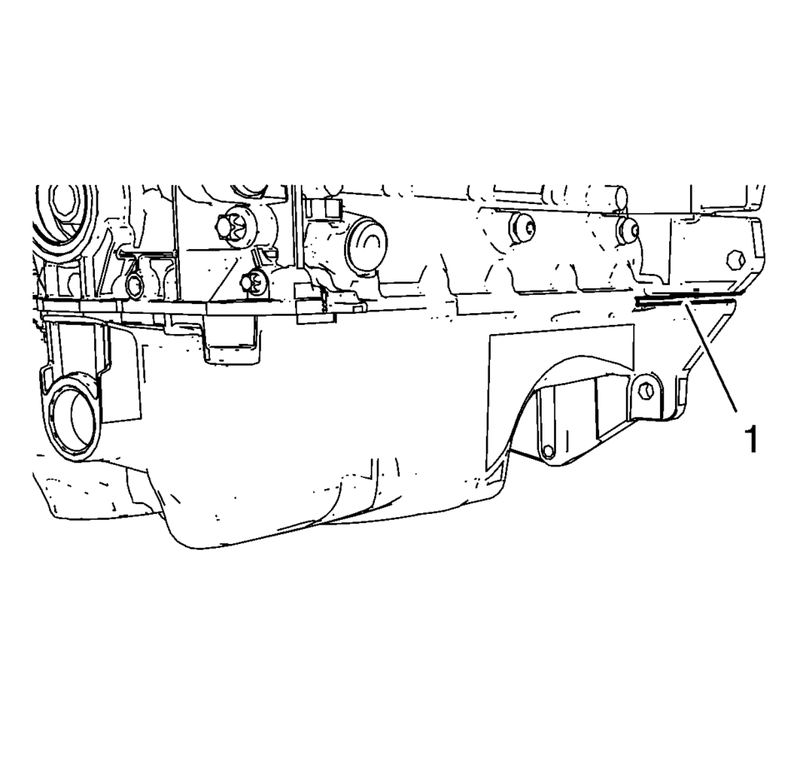 Pry the oil pan carefully in order to prevent damage to the transaxle case or the oil pan sealing surfaces. 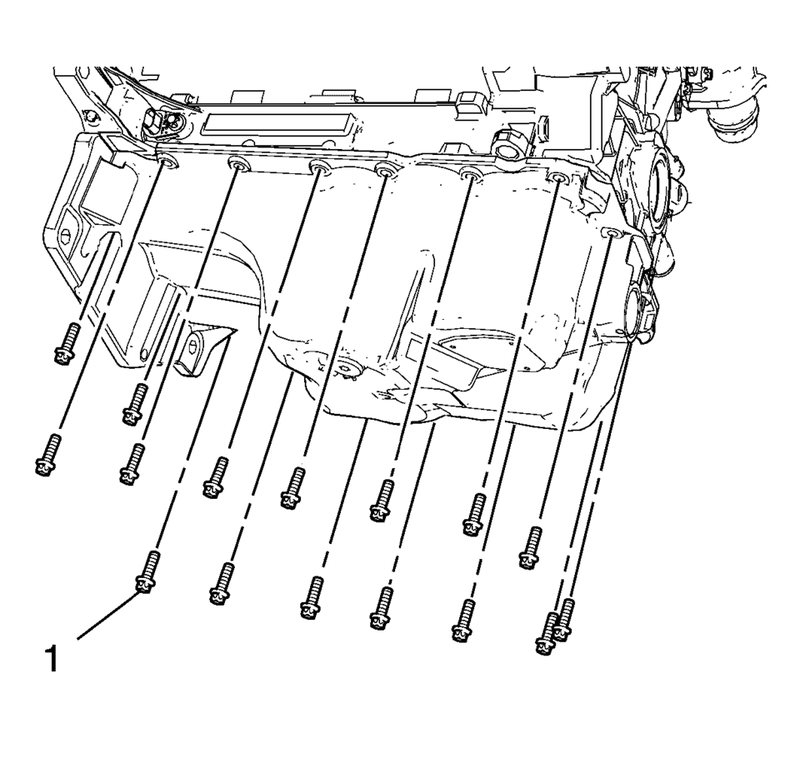 Place a suitable prying tool to the area shown (1) and carefully pry the oil pan loose. Remove the oil pan (1).